Imagine clothes, houses or cars that soaked up heat during the day and then released it on demand when things turned cold. That’s exactly what a new material made at MIT could provide in the future. 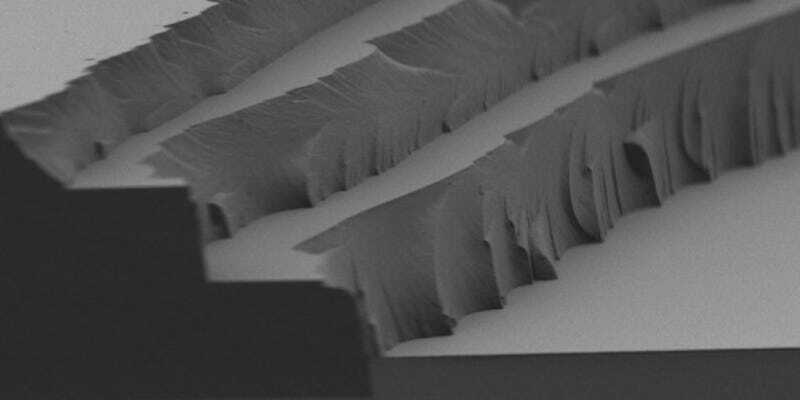 A team of researchers has developed a new transparent polymer film that’s able to absorb solar energy then release it as heat at a later time. The team behind it reckons it could be applied to all kinds of surfaces, from glass to clothing. The team has used a kind of molecule known as azobenzenes that behave in that exact way to create a thin film, built up layer-by-layer, that when given a short blast of heat then spews out far more. In fact, it can release a burst that’s about 10 degrees Celsius above the surrounding temperature. The results are published in Advanced Energy Materials. In tests, the team has shown that a piece of the film placed on a car wind shield is capable of shifting ice from its surface. But don’t be wowed too much, because it doesn’t melt the whole sheet; rather, it can melt the layer right next to the glass, and gravity then causes the ice to fall off. Still, it’s enough, and the team reckons it could be used to replace the fine wire meshes currently used in heated windscreens. The polymer sheet is highly transparent, though it does have a slight yellowish tinge. The team now plan to make the film more transparent for such windshield-focused applications, and also hopes it will kick out more like 20 degrees Celsius of heat in the future, too.